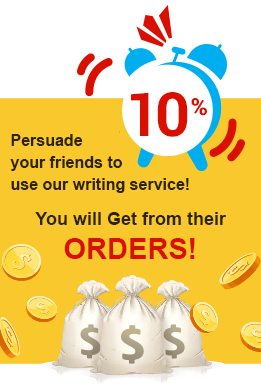 Refer people you know to Millionessays.com and we will pay you a percentage of any orders they place – 10% per order in fact! As well as that, when people you refer to us use our services for the first time, we will give them a new customer discount! You will need to place an order with us yourself (or already be a customer) in order to join our affiliate program and commence earning. While you are placing your first Millionessays.com order, you will be prompted to create a user account. Then, upon logging into your account, you should see information about how to become an affiliate. This takes the form of a referral link or discount code, which you are at liberty to send to people you feel may benefit from using our services. In the event there are people you want to pass this code or link onto, feel free to email it, send it by messenger, or use social media. The next question is this: How does the mechanism for getting a first-order discount work? It is fairly simple. When people you shared referral information with follow the link they got from you, they will be presented with our order processing form. The special discount code will be applied to their order in an automated manner and, thus, the cost of their first purchase with us will be discounted. Once people you refer have paid for their orders and those orders are finally completed, you get a percentage from the cost of each order – an amount equaling 10% for every referred order. You will see your earnings when they appear in your Millionessays.com account. This money is yours and you can use it to pay for any orders you may wish to place immediately or in the future. In the event you want to make a cash withdrawal, we will send it to you by PayPal or, if you prefer, by Wire Transfer. Thus, becoming an affiliate and earning in the process is not at all difficult. Indeed, it represents a win-win deal for everyone who chooses to participate. You merely forward a link or code to other potential users - they save money by getting their first order at a reduced price and you earn 10% if or when they follow the affiliate link or use the code you shared with them!